What is it like to be a dog? A bat? Or a dolphin? To find out, neuroscientist Gregory Berns and his team began with a radical step: they taught dogs to go into an MRI scanner-completely awake. They discovered what makes dogs individuals with varying capacities for self-control, different value systems, and a complex understanding of human speech. And dogs were just the beginning. 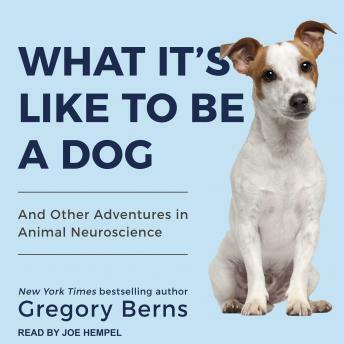 In What It's Like to Be a Dog, Berns explores the fascinating inner lives of wild animals from dolphins and sea lions to the extinct Tasmanian tiger. Much as Silent Spring transformed how we thought about the environment, so What It's Like to Be a Dog will fundamentally reshape how we think about-and treat-animals. Groundbreaking and deeply humane, it is essential listening for animal lovers of all stripes.